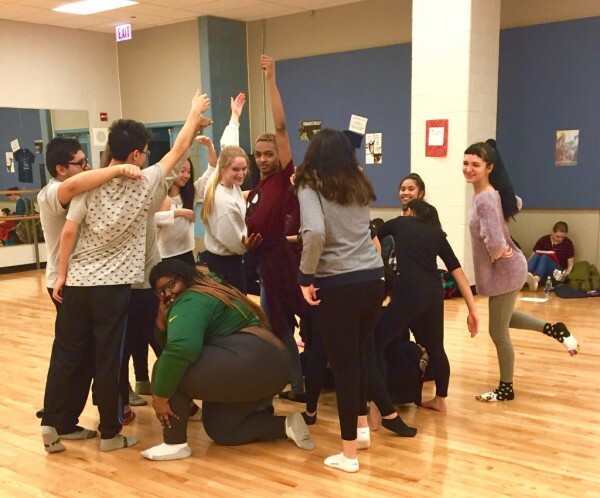 I taught two different high school classes the vulnerable and open dance style of improvisation. Each class consisted of about 30 to 40 students total, having a combined of almost 80 students overall that I taught. The classes varied in dance level and experience, dance interests, age, race, gender, and sexual orientation. Elisa Foshay was my site superivor and Dardi McGinley-Gallivan was my project mentor. The location of my project was at Jones College Prep, which is a Chicago public high school located in downtown Chicago. Jones has a beautiful, open space to dance in, which consists of wooden floors, mirrors, and ballet bars. I taught every morning, 8 to 9:30am, Monday through Friday, for a month (Feburary - March 2016). Jones has a system called block scheduling which results in A and B days. Every day I would have a different class, resulting having each class every other day. My original final goal for the class changed as I worked with the students, which was to have an hour long improvisation jam. The final goal ended up changing to using improvisation to create choreography. The majority of the students were beginners, which resulted in extreme cases of uncomfortableness when dancing improvisation. I taught the students the dance concepts of space, time, and weight (space in the room, space between other dancers, negative space, sudden time, sustained time, light weight, and heavy weight). The students final performance consisted of creating a short dance within small groups. 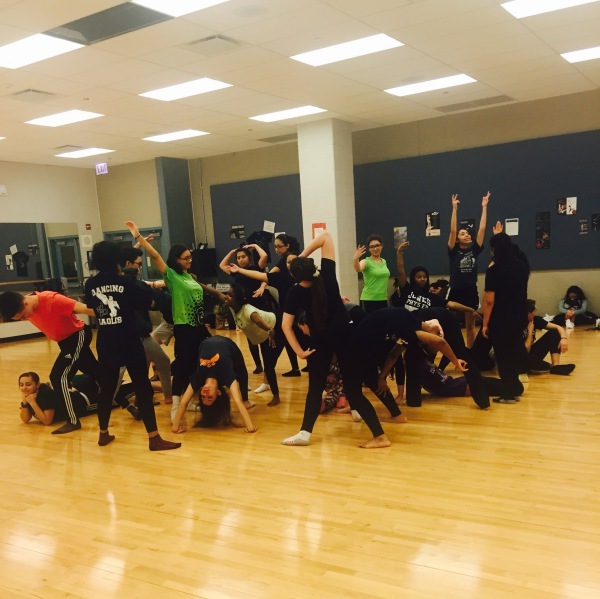 This dance piece was created by layers of improvisational ideas. For example: create a short phrase using weight / playing with the negative space of your fellow groupmates / etc. All these layers would be added on to create a short piece. The students were also allowed to decide on their music at the very end and whether or not they would dance to the beat. Finally, I had the students submit final journals in which I graded on a ten point scale. I also had the students fill out a teaching assessment survey for me.